What’s the most popular degree at SPSCC? The Associate in Arts Direct Transfer Degree. Students save money and earn a two-year degree before transferring into their junior year at a public college or university in Washington State. Now, what if you could earn a degree that allows you to transfer into your third or final year at an international university? This kind of international transfer is available to SPSCC students! And many of the international universities accept the FAFSA and award federal student loans and VA benefits. SPSCC graduates have a direct connection to bachelor’s degrees at universities in France, New Zealand, Ireland, and England in areas of anthropology, art, biology, business, chemistry, history, philosophy, and politics. The newest program allows biology and chemistry students to transfer into their junior year at the University of Glasgow in Scotland. And, coming soon, students studying Humanities and Social Sciences will have the chance to transfer to a university in Australia. Join us as we go global! Almost anyone who has spent time studying in another country will say that it was one of the most impactful experiences of their life. SPSCC offers many ways to explore the world while also focusing on your education. In 2017-18, students studied in Barcelona, Spain, Osaka, Japan, and Dunedin, New Zealand. Explore and study abroad in 2019 and beyond! More info at spscc.edu/areas/study-abroad. Each year, we grow our international student population, which helps our college and community diversify and share experiences with people from other cultures. 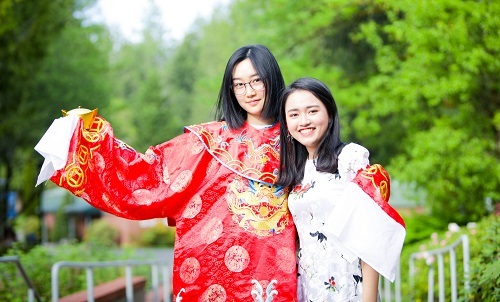 The International Student Association is one of the college’s most active and community-serving student clubs, and anyone in Thurston County can host an international student for short- or long-term homestays. Learn about our students and how you can get involved online. More info at spscc.edu/international/homestay.